Our principal Robert Bosch Packaging Technology GmbH is a leading supplier of vertical packaging machines both globally and in the Nordic countries. The packaging machines are equipped with different dosing systems depending on the product. The most common dosing unit on a VFFS-machine is a multi head weigher. 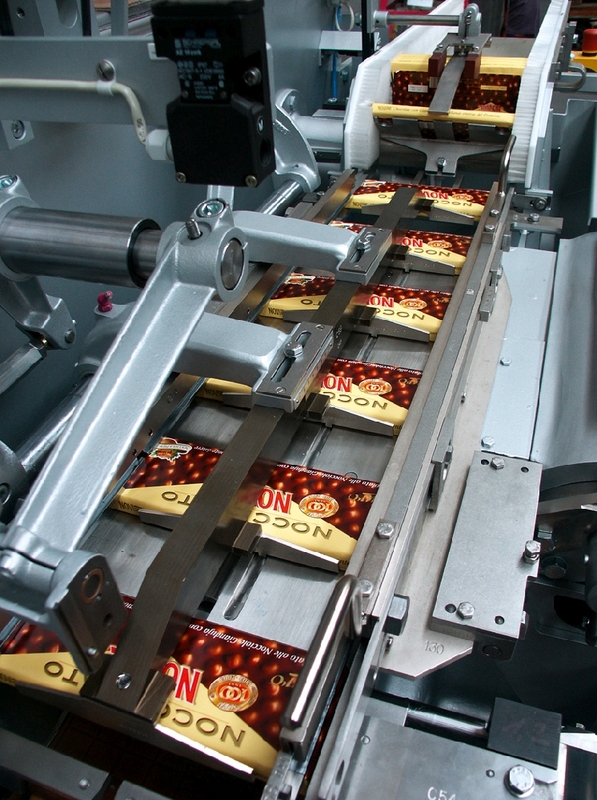 We deliver weighers from various manufacturers for our Bosch vertical packaging machines. Bosch takes full responsibility for the complete line. In addition to the multi head weigher we also deliver auger fillers, weighers for coffee beans, volumetric fillers and counting units. A multi head weigher consists of several weighing buckets that are placed in a circle around linear vibratory feeders. The model of the multi head weigher depends on the amount of weighing buckets, normally there are 10-28 buckets in the weigher. 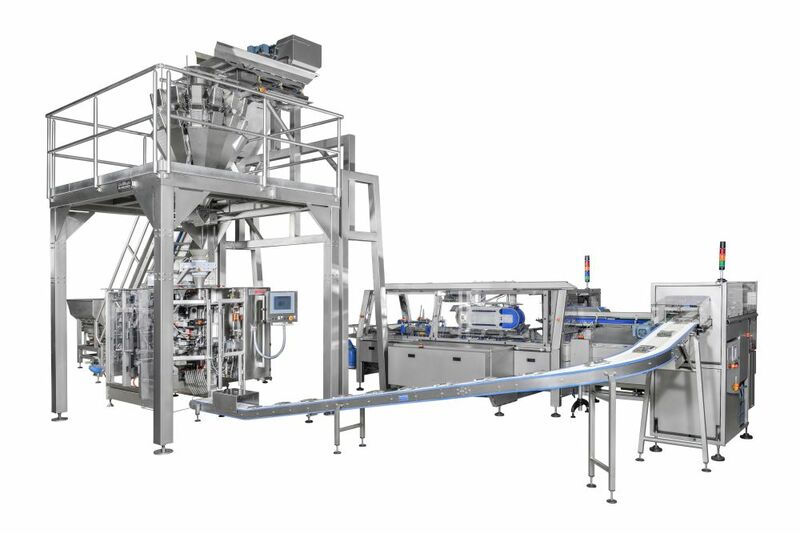 The weight of the final package is programmed into the multi head weigher, the weigher weights the product, drops the product into a synchronization bucket from where the product is dropped in to the format tube of the vertical bagger. As an example a 100g bag of sweets is packed with a multi head weigher, product is fed through the vibratory feeders into the weighing buckets. Each weighing bucket has a target weight of 25g. The Multi head weigher does a quick calculation and combines the four weighing buckets whose summary weight is as close to 100g as possible. Depending on the model and product the multi head weigher can weigh up to 400 bags/packages a minute. A multi head weigher can also be used as a product counter. Instead of weighing, the multi head weigher simply counts the products based on the weight into the bag/package. Bakery products like buns are for example packaged with this method. The multi head weigher can also be used as a product mixer. With a separate feeding system you place, for instance, four different confectionery products on the multi head weigher. The multi head weigher is divided into four sections and from each section it doses the wanted amount of product. In each package leaving the vertical bagger you find a blend of product corresponding the target programmed. Bosch doesn’t manufacture multi head weighers themselves but integrate multi head weighers from sub suppliers. Bosch takes full responsibility for the packaging line including the multi head weigher. 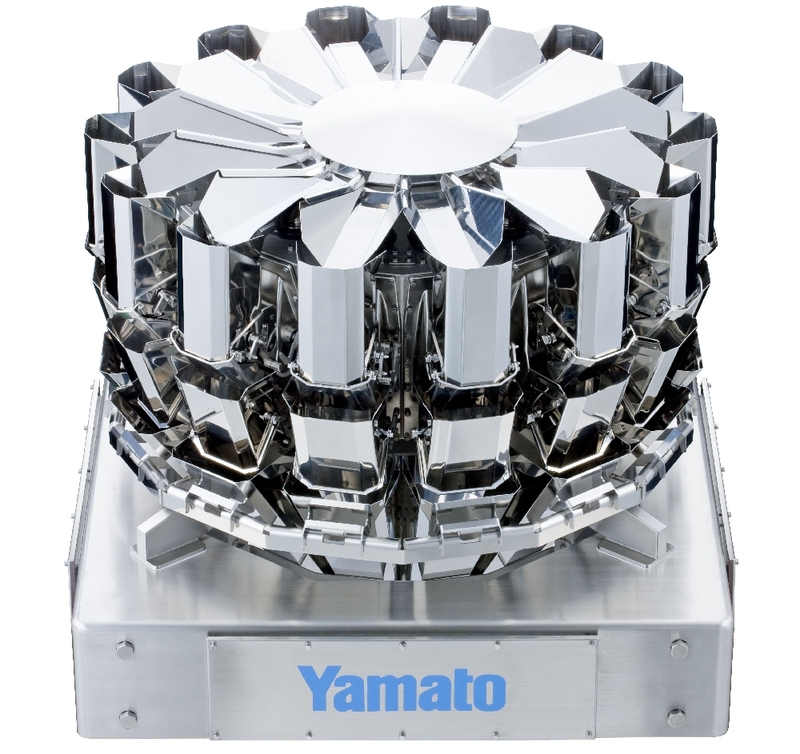 We work in close cooperation with the following manufacturers of multi head weighers: Yamato, Ishida, Multipond and Bilwinco. If you would like to use another manufacturer this is also possible. We also offer feeding conveyors and elevators, vibratory feeders and belts by which the product is fed to the multi head weigher. Multi head weighers are normally installed on a gantry or service platform. We deliver complete lines by Turn Key solution.